Yes, I’ll admit it. I pamper my ride. A lot. And it isn’t just my motorcycle. I do that on all my previous cars too. 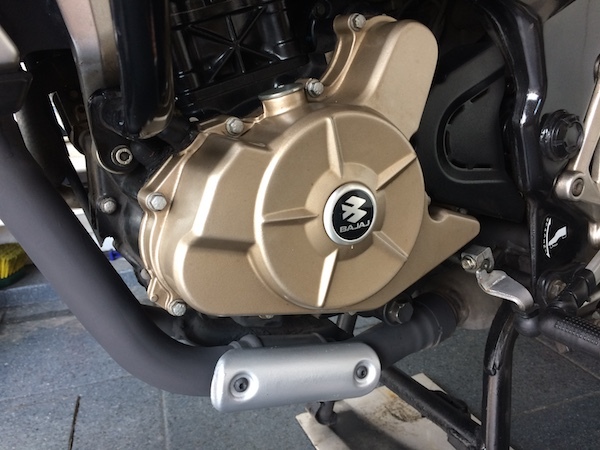 The 200NS comes with a black-painted exhaust header instead of some shiny stainless steel. It’s been some months since I painted the exhaust header on my 200NS, and there are some new signs of very, very light corrosion. I’ve had good experience with Rustoleum’s High Heat paint on the exhaust and still have more than a half-can remaining. 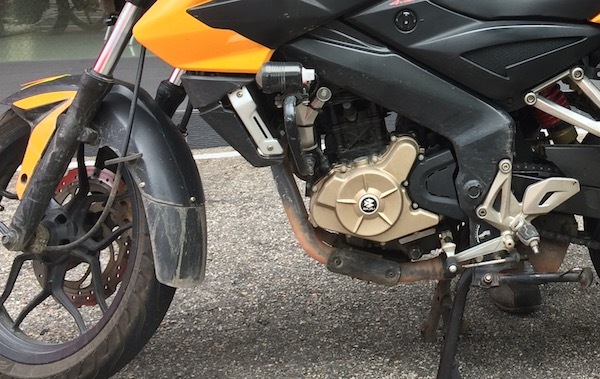 Rusty exhaust header on my Pulsar 200NS during my 2016 SE Asia Tour. I recall someone asked me if the exhaust stays black (forever) after the Rustoleum High Heat paint treatment. While I would love for it to be the case, the truth is that I will have to periodically repaint it. Well, that person subsequently mentioned that it was too much of a trouble for him and he was really looking for a more “permanent” solution. Dude! It doesn’t exist! Even polish and wax have to be periodically re-applied! Unless, of course, your machine is a showpiece and remains perpetually in display and not used at all. Prepping is KEY! Couple of pieces of old newspapers held together by some masking tape. 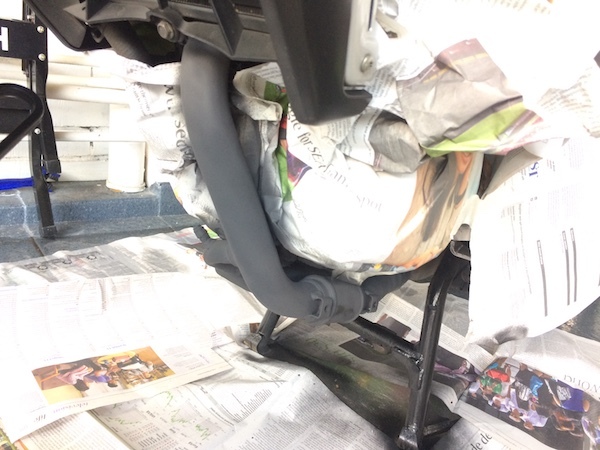 Removed exhaust heat shield for painting a different colour. After first coat of Rustoleum High Heat paint and waiting for it to dry. 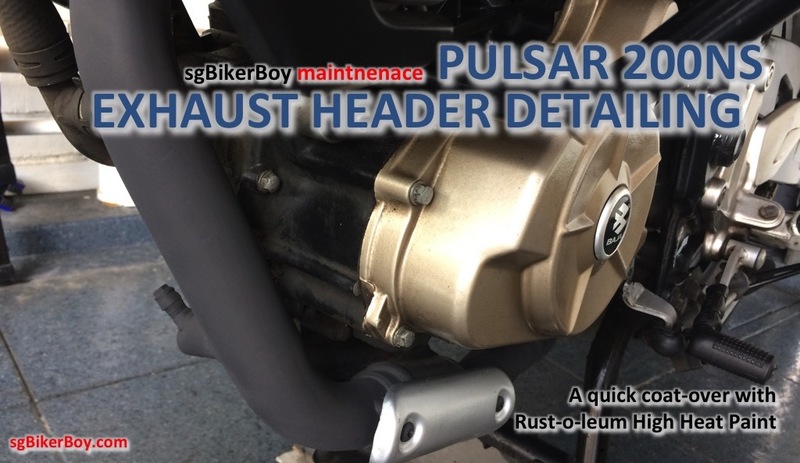 The pampered Pulsar 200NS with it’s “new” exhaust header. Detailing a motorcycle is not just about washing, waxing and polishing. 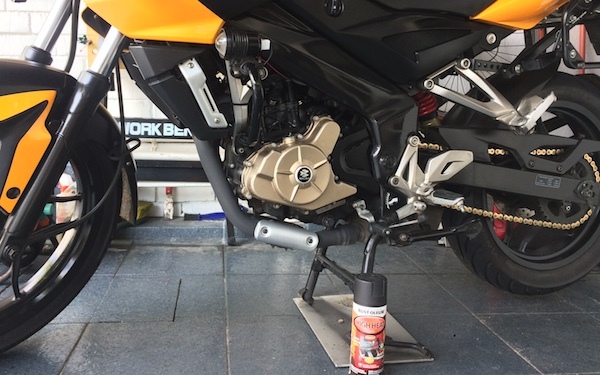 It’s also about these little details like periodically re-painting of the exhaust headers that keeps the bike looking brand new! Wowee Bro, U DO pamper/love your bike a lot, it seems. Well, with prices of bikes so freaking high here, it makes sense to keep em in great running/looking condition, to kind of justify (at least to yourself) the reason for paying so much. (New)car owners, especially, seem to be way more INTO it than bike owners. U can see em proudly foaming & scrubbing down their rides at car wash bays in their MSCPs most every weekend. Feels good to ride a clean looking/well-oiled machine doesn’t it? May fetch a better selling price also, come trade-in time…. Actually, a lot of the bike detailing stuff were leftovers from my car detailing kit. And since I sold my car late last year, they are used exclusively on the bike now. And with the drastically reduced surface area that require the products, the small remaining amounts goes a really long way! Yeah Bro, those car cleaning liquids & stuffs CAN be used for bikes too.Stuffs like shampoo, polish & wax. No need to spend extra money on so-called “bike-specific” cleansers…. 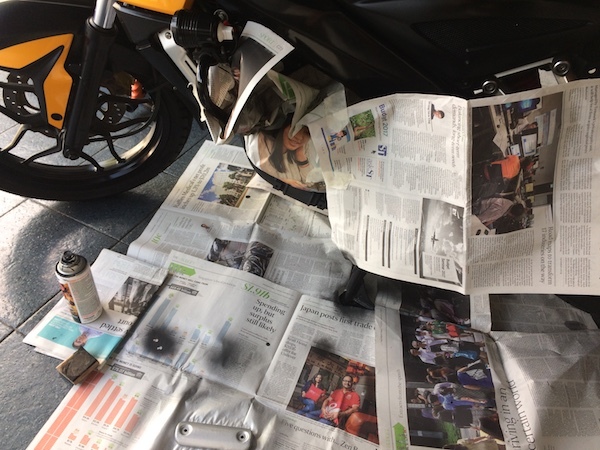 I used to use MaMaLemon to wash my scooter exterior, come to think of it….It didn’t seem to do my paintwork any harm….or maybe I am just not too fussy/simply “boh chap”. I have a good amount of Meguair’s Wash and Wax which I’m still using now. Yeah – call me lazy – I love this 2-in-1 stuff on paintwork.